So you want a vehicle that can do it all, from manufacturers and dealers that knows what it means to deliver quality and power? Well if that’s the case, then a Ford SUV will give you that satisfaction you’ve been dreaming of. Ford SUVs are always in demand and it’s not difficult to see why. Ford is a brand that stands for reliability and their SUVs are conveniences given form, together they create a vehicle anyone would desire if they want a better life, and that is why it is no shock to see even used models flying off the lot. Ford SUVs are always paired with the best selection of powertrains, because what is a vehicle without performance capabilities? Despite their smaller and more refined design, Ford SUVs all have a respectable kick to them; after all, that is what Ford does best. These SUVs offer some of the best horsepower and torque in their class, and some models can even match a compact pickup truck when it comes to towing potential. Ford SUVs can have a little as 123 hp, and as much as 400 hp. Power for a Ford SUV also comes in the form of seamless control, off-road capabilities, body resilience, and clean efficiency. Basically speaking, a Ford SUV knows how to take command, and can give you the confidence to pave any road. It is also important to note that with power comes great responsibility, and Ford SUVs take responsibility by staying as green as possible, and that green is for money and the economy. Hybrid options are becoming quite widespread, and as such Ford SUVs offers some of the best EPA ratings on the market. Flexibility is not just important, but essential to an SUV. An SUV must be able to adjust to its driver’s life without missing a beat because limitless convenience is what makes this class of vehicle one of the most popular in the nation. Ford SUVs offer ample space for your cargo as well as your passengers so that you can always be prepared for what life has in store. You are free to customize the rear cargo area of these SUV in whatever you want with easy-fold split seating that will allow you to use every inch of space to its maximum potential. Even the smallest Ford SUV offers up to 50 cubic feet of space, while the largest can handle up to 104 cubic feet. So whether you want to take a family trip to the beach or a solo trip to the mall, you will be well-equipped for the job. Ford SUVs are the best defense for a hectic life. It is the 21st century, and the age of dumb, dull, and drab vehicles are in the past. Ford SUVs are equipped with state-of-the-art technology that will keep drivers safe, comfortable, and entertained. Ford’s SYNC 3 system, in particular, is a touchscreen infotainment system that goes the extra mile to impress with its hearty list of capabilities including direct smartphone connectivity with Apple CarPlay and Android Auto. Ford SUV owners can now make and receive calls and texts without taking your hands off the wheel, as well as pull up maps, music, and a number of other apps. SiriusXM satellite radio is also something that can keep you entertained for hours with more the 150 channels to listen to. That’s not all though, while entertainment is fun it is nothing compared to feeling safe and secure while on the road. Ford SUVs offer a number of brilliant preventative safety measures that are designed to increase your control through stability tech while increasing your awareness with sensor tech in the front, back, and sides of the SUV. Together these active safety features will not only protect you from collisions, but stop them from happening at all; and to paraphrase the known saying, the best offense is a good defense. In addition to that there are a plethora of luxury tech features that should make your life easier. For example, a hands free Liftgate is a popular feature that allows you to load up the cargo space when your hands are filled by opening the trunk with a light kick of a foot. There are also Dual or Tri-zone climate controls that allow you to set the temperature throughout the SUV so that everyone is as comfortable as they can be. Living it up is easy when you have a Ford SUV. Ford is one of the few manufacturers that prides itself on having a large lineup from every class. Instead of focusing on a few models, Ford designs many vehicles so that you the driver are assured a perfect match. This is because Ford has the experience and skill to produce a large number of vehicles without losing any of the quality. When it comes to Ford SUVs specifically, Ford at the moment has five popular namesakes that have gained outstanding marks within their class as well as massive popularity amongst Ford supporters everywhere. 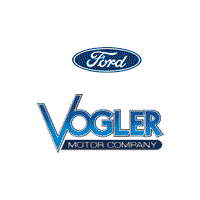 At Vogler Ford, we are a dealership that views your convenience as our number one priority. Your time, money, and effort are all taken into account when we design a service plan just for you. Every driver has a unique story to tell, and we are ready to listen to yours in order to guarantee your satisfaction. In return we don’t ask for much, only your honest feedback and hopeful return in the future. 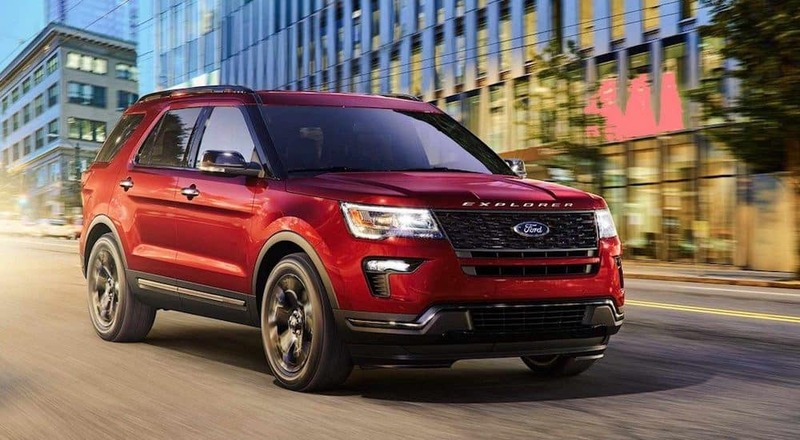 Our inventory of Ford SUVs are always a popular choice, so get in contact with one of our friendly and informed staff members at Vogler Ford before you miss out on the vehicle that has it all.